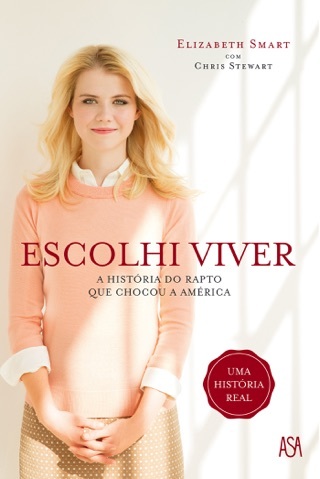 The harrowing true story of abduction and survival from the courageous young woman who lived it—now the subject of a Lifetime original movie, I Am Elizabeth Smart. 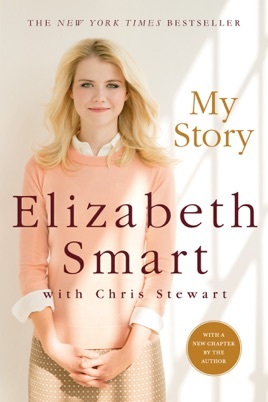 In this memoir, Elizabeth Smart reveals how she survived and the secret to forging a new life in the wake of a brutal crime. On June 5, 2002, fourteen-year-old Elizabeth Smart, the daughter of a close-knit Mormon family, was taken from her home in the middle of the night by religious fanatic Brian David Mitchell and his wife, Wanda Barzee. Elizabeth was kept chained, dressed in disguise, repeatedly raped, and told she and her family would be killed if she tried to escape. After her rescue on March 12, 2003, she rejoined her family and worked to pick up the pieces of her life. With My Story, Elizabeth tells of the constant fear she endured every hour, her courageous determination to maintain hope, and how she devised a plan to manipulate her captors and convinced them to return to Utah, where she was rescued minutes after arriving. Smart explains how her faith helped her stay sane in the midst of a nightmare and how she found the strength to confront her captors at their trial and see that justice was served. In the years after her rescue, Smart transformed from victim to advocate, traveling the country and working to educate, inspire and foster change. She has created a foundation to help prevent crimes against children and is a frequent public speaker. She and her husband, Matthew Gilmour, now have two children. This story was told in the most G rated fashion possible while still taking us to the depths of hell with her. It's not G rated at all, but it was written so people like me could read it to the end. I was curious what this book would be like and the message it would contain. I have read other books from victims of horrendous abuse and this one was so different! Elizabeth didn't allow herself to be further degraded by going into the unpleasant details of her being raped like so many others do. She just called it what is was. I thought her book was inspiring and uplifting. What a positive outlook she has. I believe she did find the key to healing in her attitude of gratitude. So glad she waited to tell her story when she was ready. So glad she got away and is doing well in her life. Book is not out yet but I give it 5 stars as she as she still has the strength to tell it and give others hope to be strong and move on. Thank you Elizabeth.